My fiancée, who also is an archaeologist, is currently participating in an archaeological dig at the Swedish west coast, at Tanum. 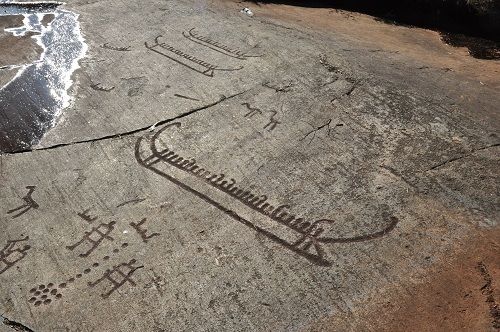 Tanum is internationally known for its rock art sites, the Tanum UNESCO World Heritage site includes a multitude of rock carvings dated to the Bronze Age ca 1700-500 BC. 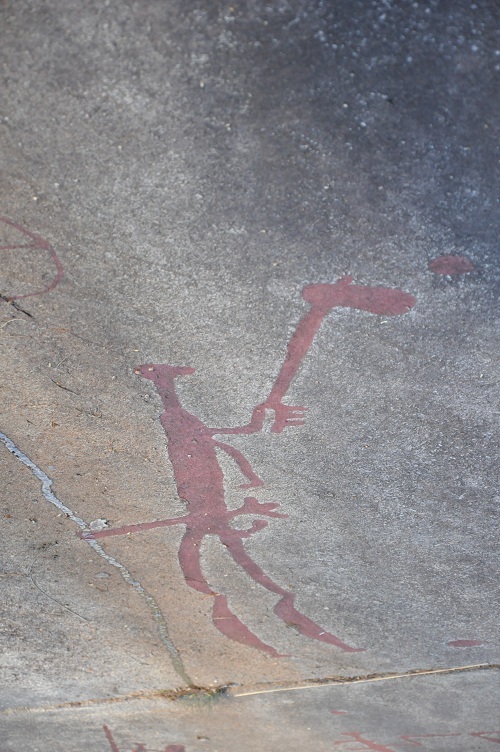 In the area there are more than 1500 known sites with rock art. 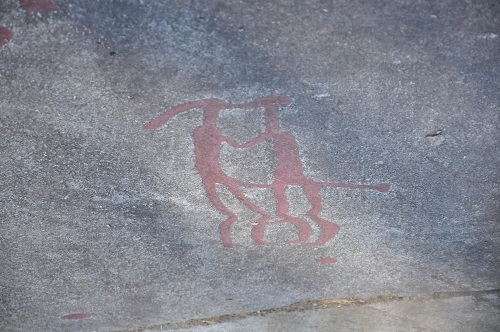 Last weekend I visited and we went on a rock art Safari visiting a few of the sites, the first Vitlycke, which is one of the biggest sites including the famous carving that is called the the wedding couple . 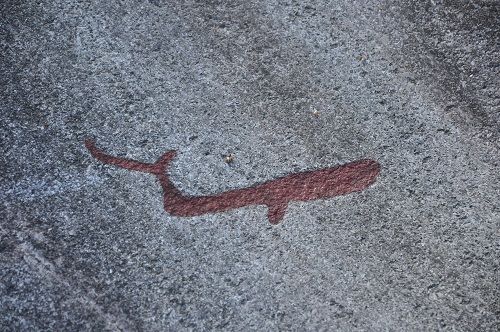 The most common motives are cup marks, ships, people, animals, footprints, wheels etc. 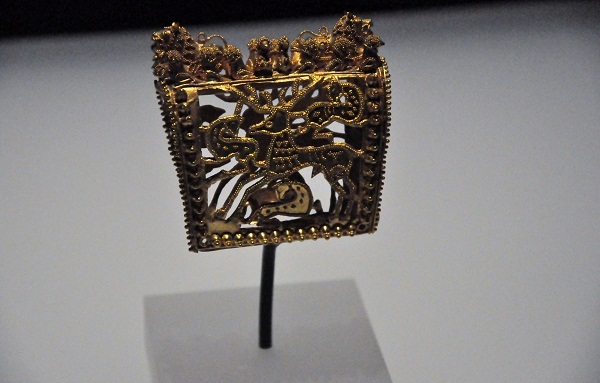 Not being an expert on these they still captures my imagination, this is as close as we come to a written testimony of the Bronze Age world giving us glimpses into the world then. 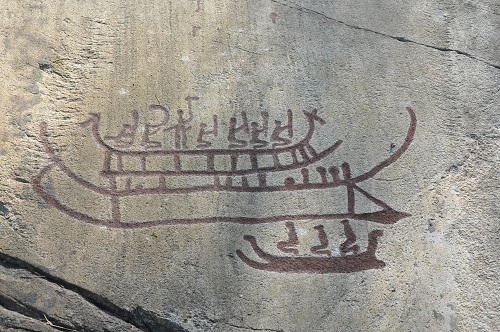 The rock carving as seen today is made on outcrops and rocks that are visible in the modern farming landscape, but during the Bronze Age they were situated near the waterline. 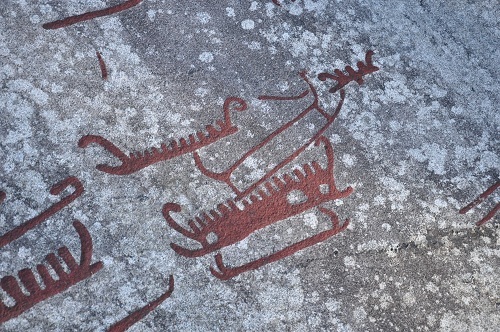 What is ongoing in Scandinavia, since the last Ice Age, is the land uplift in progress, due to this the coastline has moved quite a bit since the Bronze Age and so landscape surrounding the rock carvings has changed as well. 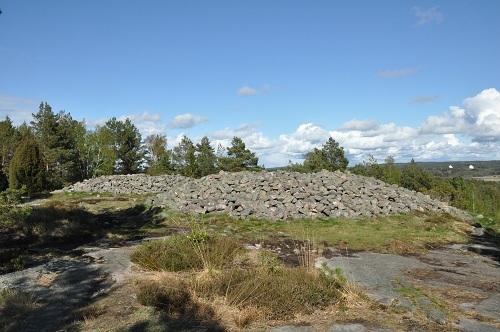 On top of this hill, ca 100 meter higher in the terrain are two great burial cairns from the Bronze Age. This is the first of several posts consisting mainly of photos from these sites. As you see the carvings have been filled with paint, when they’re found they’re not – can you see the carvings on the next picture? 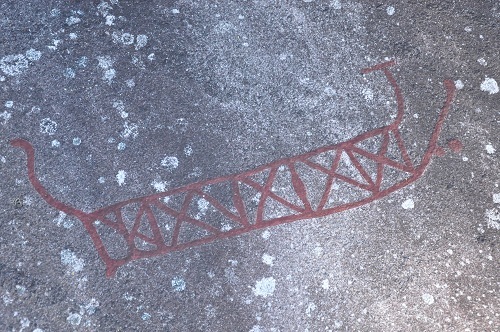 In the middle is a foot sole and down to the left is part of a ship. 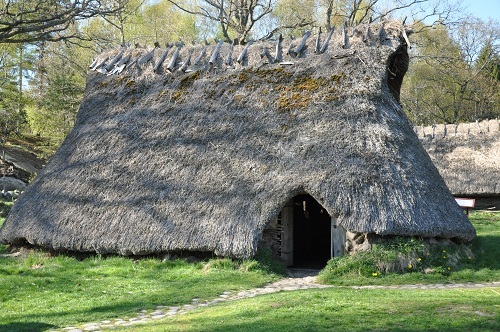 At Vitlycke is also a rock art museum, which includes a replica of a Bronze Age farm. Finish researchers has found a new model of Stone Age grave – at least new for Finland. 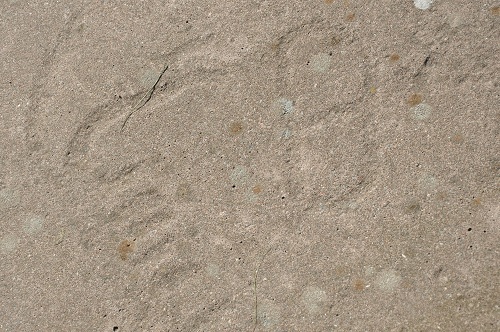 A rectangular stone setting; 4×5 meter. 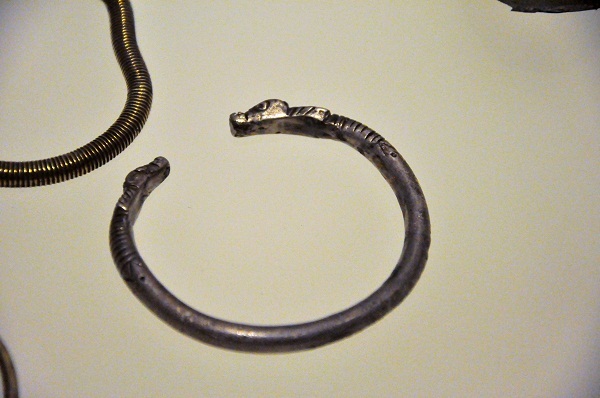 It has been excavated this summer by Finnish archaeologist Teemu Mökkösen. 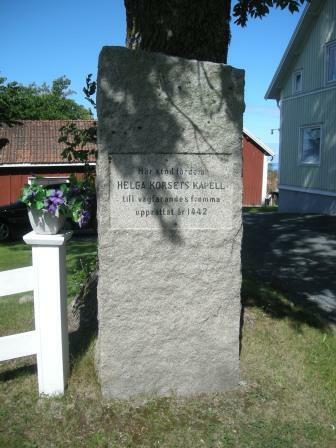 The grave is situated in Keelaharjussa in northern Ostrobothnia. 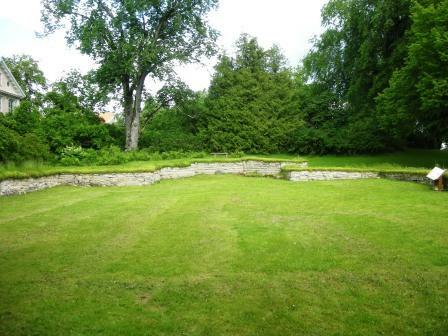 According to the article this is the only grave of its kind in Finland. 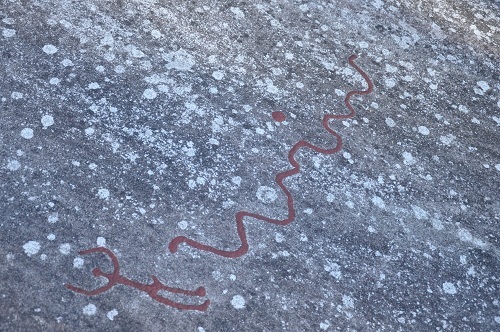 It’s filled with red ochre and has been dated to circa 5000 years BC, which makes it one of Finland’s oldest graves. 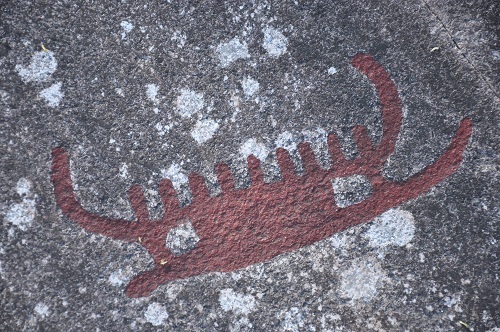 A few similar graves have been excavated in the north of Sweden, in Norrbotten. 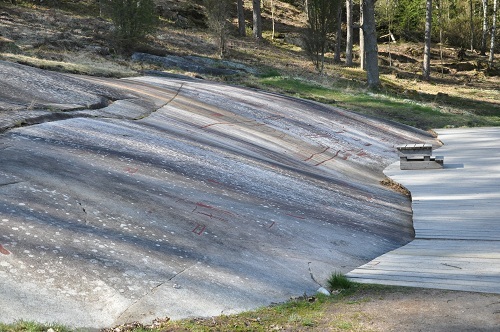 Late Stone Age graves for example at Lillberget and Ansvar etc. But somewhere in the back of my mind I believe I’ve read about similar graves in Finland before, though there is probably something special about this one, or it might be that this is the only one that has been dated or has the oldest dating. If you know what please write a comment. Nerveless it’s an exiting find. I felt quite pleased earlier today as me and my collegue had found a stone cist grave, though it feels a little petty in comparison – it’s not that unusal and its Iron Age so it’s a lot younger… can’t get it all can you! Source; an article in HS.fi – a Finish newspaper. 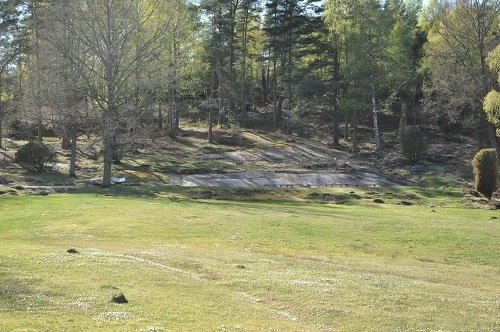 Currently I’m employed by Arkeologikonsult at the excavations of a grave field in Rissne, Stockholm. 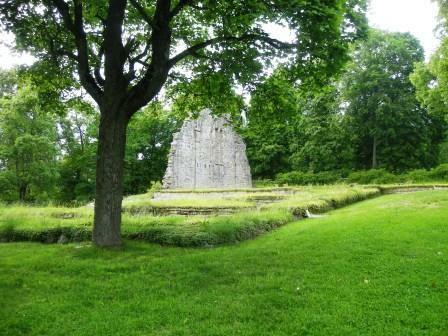 The grave field is from the late Viking Age or the early middle ages. The burials are mainly Christian, buried in coffins, but the graves have superstructures that are a relic of ancient burial forms, such as stone settings or mounds, and the dead are still buried at the farmstead grave field rather than at a cemetery by a church. 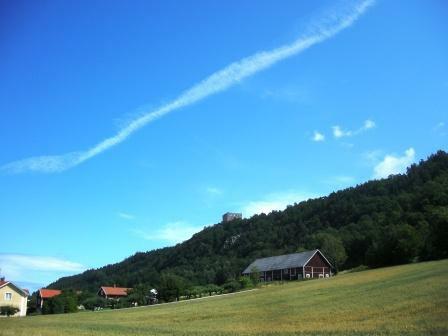 SR (Swedish Radio) program Vetenskapsradion history (Science Radio: History) has a report on the excavation on the show (in Swedish) under the title The Spectres at Rissne. Pictures from the excavation are available at Arkeologikonsults webpage. 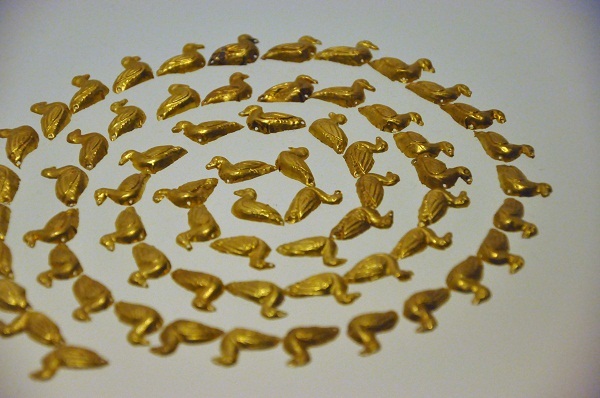 Dreams of gold and riches? 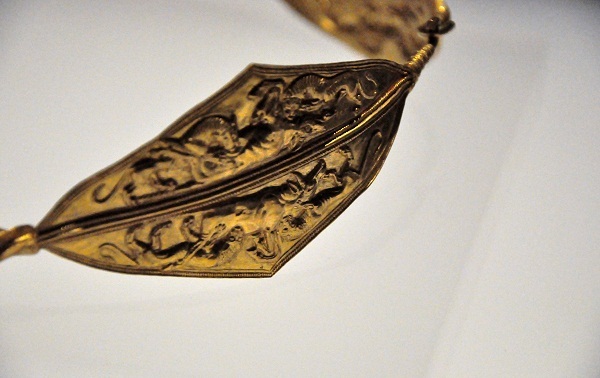 A question that is frequently asked when I present myself as an archaeologist for people is; what is the nicest or most interesting thing you’ve found? 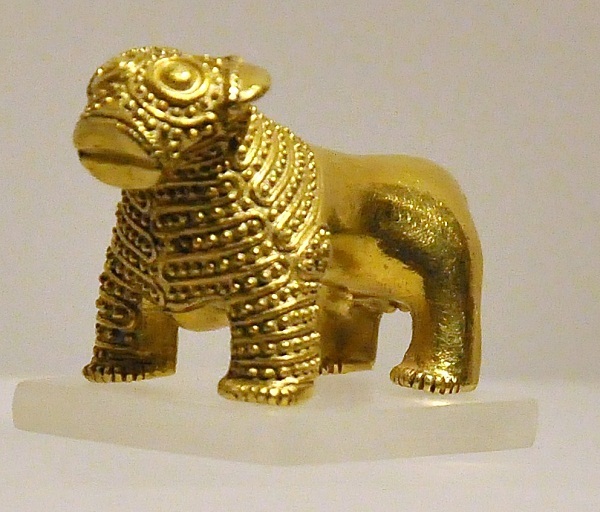 By implication, they expect that you should talk about gold objects, lost cities or dinosaurs. Though I’ve struck gold on a few occasions, it isn’t all that usual to find, other “valuables” include coins, bronzes etc. Now understand me correctly it’s wonderful to find these objects though it’s not really why I do archaeology or why it has caught my interest. It’s rather the possibility to better understand our past, how they thought and functioned, why and how they did things. 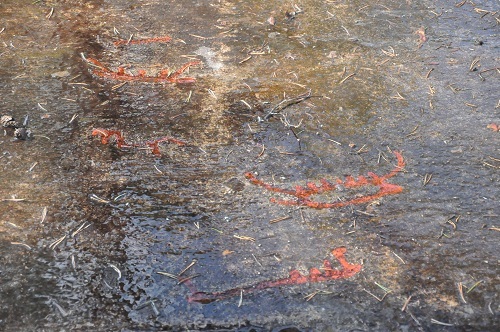 At present I participate in an excavation for Arkeologikonsult in Rissne, Stockholm. 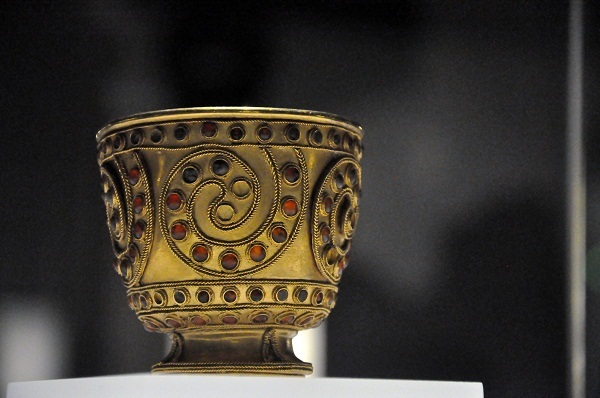 We excavate a grave field/burial ground dated to the late Viking age early middle ages. Most graves, so far, are built like Viking age burials; stone settings, mounds etc but instead of cremations the dead has been buried in coffins. At this stage the dead are still buried on the farm stead burial site and not a cemetery by a church. 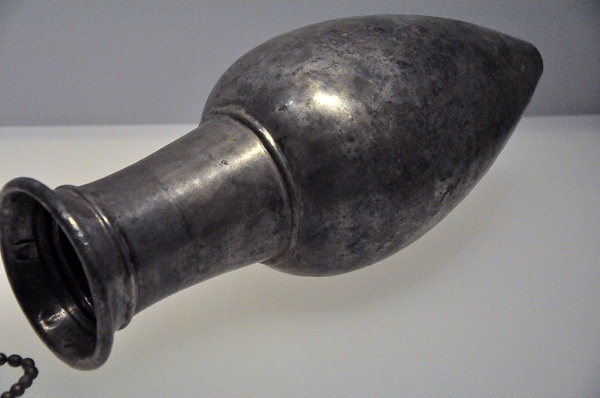 If you would ask me right now what the most exacting thing I found is – I would answer two coffin nails as they currently helps me understanding a particular grave – where the coffin was put, in what direction the dead was placed etc. The answer will change from every time as you’re always in the now – the most exciting thing is most often the thing that currently is on your mind and not what shines most or is most “valuable”. Ps. Archaeologists don not dig for dinosaur, paleontologists do! Ds. 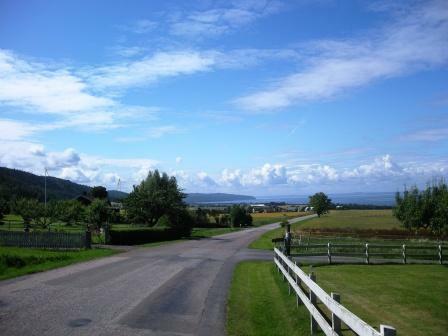 A few weeks ago I passed Uppgränna, a small community just north of Gränna on the east shore of lake Vättern. 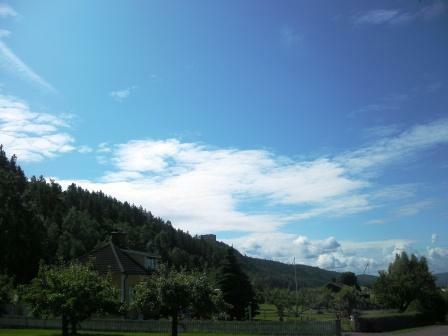 Uppgränna is a beautiful small community beneath the shadow of the ruin Brahehus. Brahehus was built in 1650 and destroyed in a fire 1708, more info and pictures can be seen here. 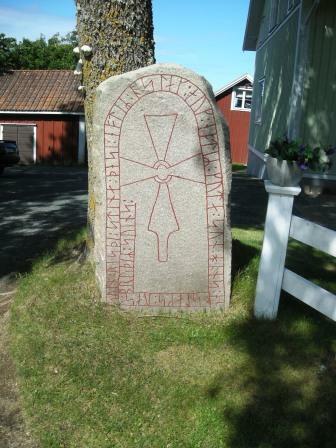 Besides the view one can also see this rune stone (Sm 122) in Uppgränna. 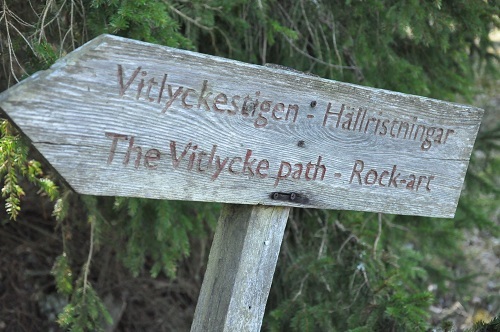 Translation; Sven raised these stones after Áslakr and after Goti, his son. And Áslakr was Sven’s brother. 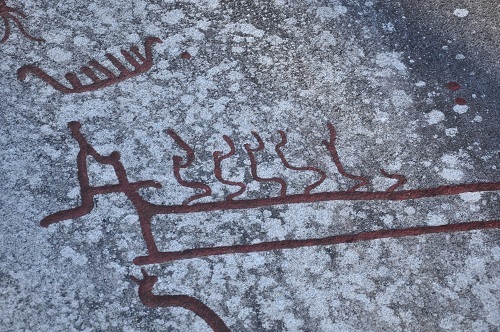 The inscription indicates that Sven raised more stones than one. 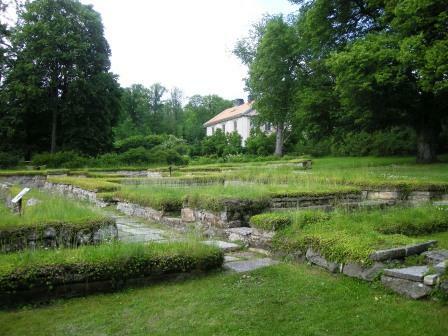 Only a few meters from the rune stones is a spring, St. Gertruds spring, by which a small chapel, Helga korsets kapell (the chapel of the holy cross) was built during the Middle Ages and served in the 1700s, it is also said that there was a grave field with mounds here. Of the chapel there is nothing left and as far as I know there are no visible traces of the cemetery either, though the source is still filled fresh water, but it is on private land. I visited Karlskoga last weekend and on Sunday we went by Riseberga cloister and cloister church ruin in Narke close to Orebro. The monastery was founded in the end of the 11th or in the beginning of the 12th century. 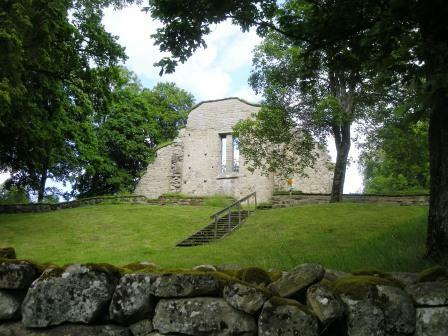 On the picture below is the west wall, the only one standing, of the church. The cloister was a Cistercian convent for nuns and the cloister church was built during the 12th or possibly 13th century. The church was ca 27 x 18 m (E-W) during the first phase of the cloister this church was preceded by a smaller church. 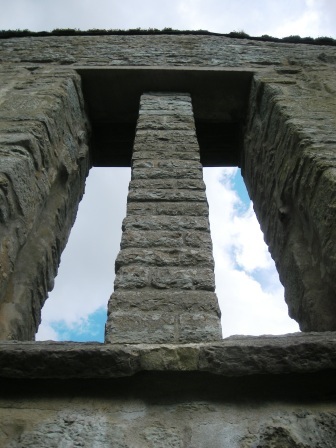 The ruins have been restored and conserved several times since the 1930’s til the latest in 2004. Some excavations has also been done which among other things have revealed a lot of graves within the cloister compound. Riseberga is beautiful situated and a place we will return to soon, unluckily this day a theatre show was on at the nearby amphitheatre (built in 1937) which hindered us somewhat to explore the area, I recommend a visit. On Saturday we had time to do some exploring; some choose to wine & dine, others to shop and some went to museums etc, though yet some did a triplet. I was accompanied by Anne-Sofie Gräslund (professor of Archaeology at Uppsala University) and Gunnel Engwall (professor of French Language at Stockholm University) and we took the in depth tour including two museums and some scenic spots in the city. I’ll start off with Archaeological museum, unfortunately I’d missed that photographing was allowed as long as no flash was involved, so the bigger part of the museum is not represented by photos. The museum covers a long period of time, among the oldest finds on display are fragments (though plaster casts) of a skull belonging to an early anthropoid called Ouranopithecus macedoniensis aka Graecopithecus (ca 8 million y o), known from Axios Valley and Chalkidiki in Macedonia (more info here), and a copy of the skull of Petralona (ca 200000 BC) to the Middle Ages. The collections are impressive and I kind of like the displays and info texts. 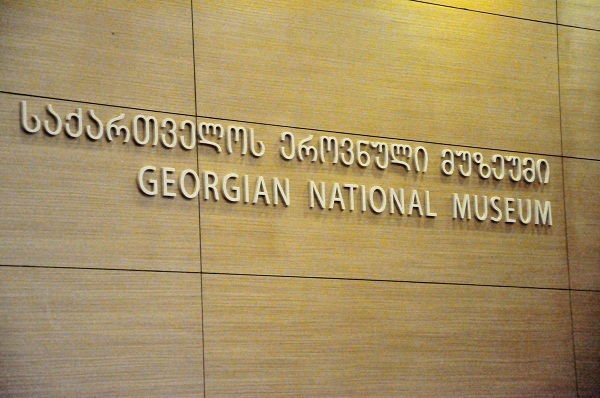 Most of the museum was rather traditional in style, and takes the visitor from the earliest hominid finds to the Middle Ages divided into categories such as ceramics, grave goods, weapons etc. The information signs are also rather traditional, e.g. 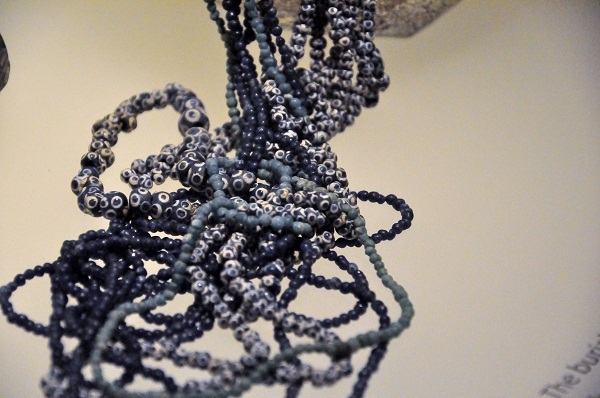 part descriptive and part story telling – and I kind of like that. 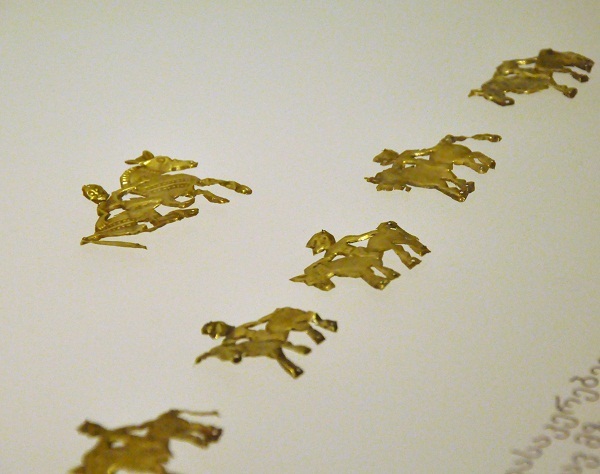 It was a good mix of telling what is on display, how it is interpreted and a bit about the context. In some cases there are also larger information signs with more in depth texts for those wanting to learn more and some multimedia presentations. 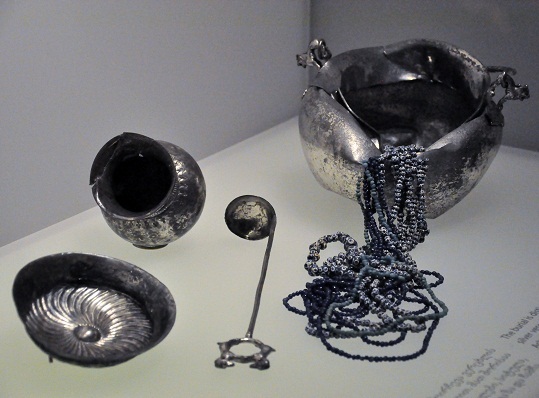 Further more it is always interesting to visit a museum with others that sheers ones interest which on many occasions led to discussions about certain finds and how they relate to Scandinavian finds. On thing we noticed was that all maps ended just south of the Baltic Sea hence missing the Scandinavia and the Baltic Countries. 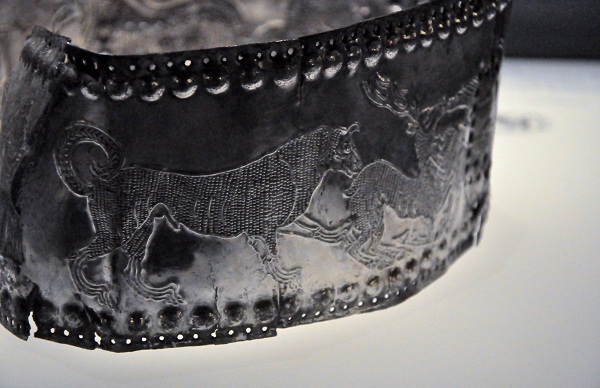 There are several finds that links the Mediterranean with the Scandinavia and Baltic areas during the prehistory. 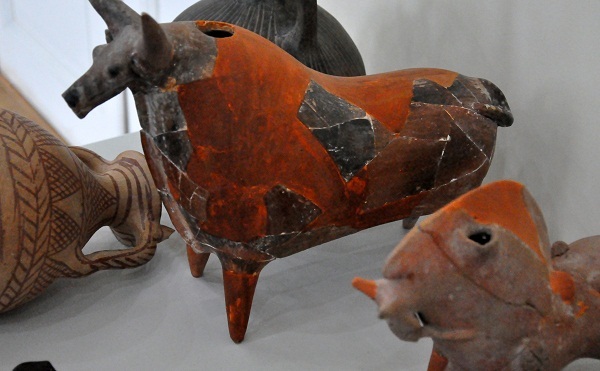 I also miss a section on historical archaeology, I guess those collections are to be found at some other museum but it should have a place here as well. Another flaw is the logic of the museum, it isn’t easy to find the right way. 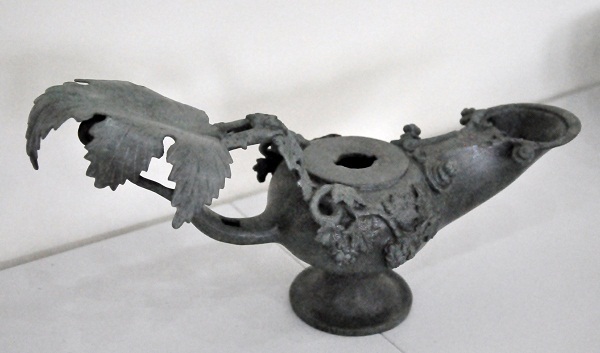 Silver calyces used as wine glasses. 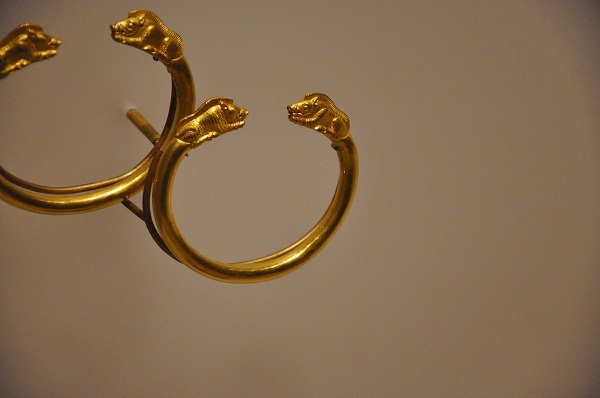 Grave goods ca 300 BC. 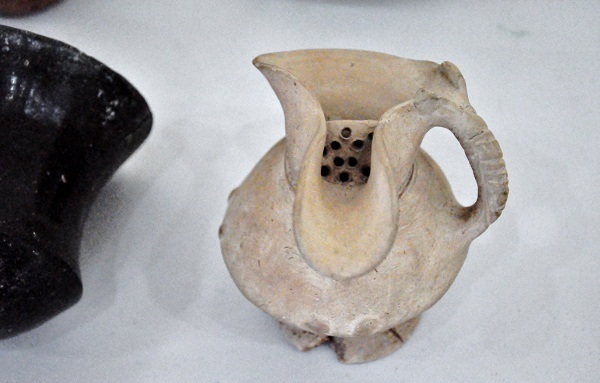 The Darveni crater is a vessel was used as a burial urn but was originally used as a vessel where wine and water was mixed. 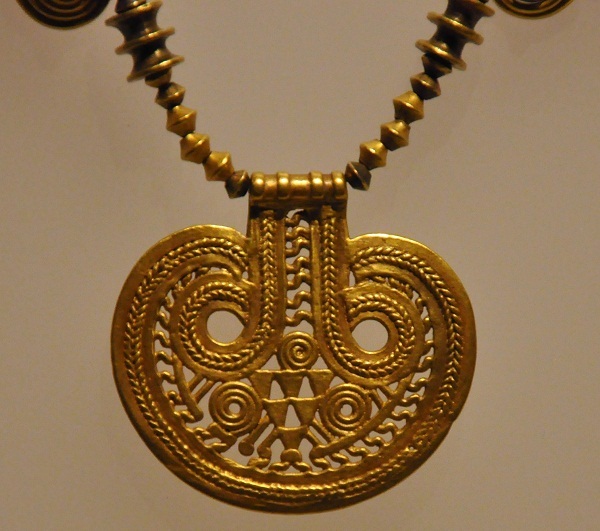 4th century BC. 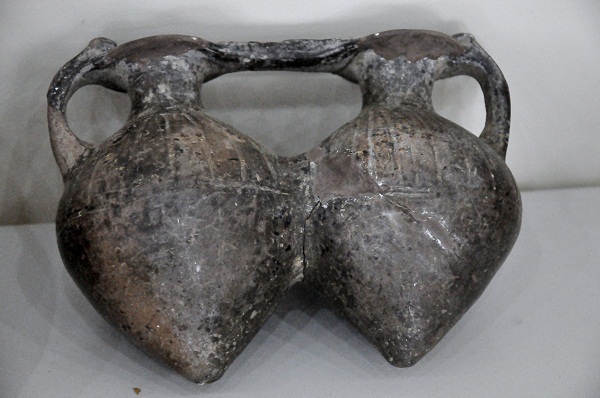 Iron model of a two wheeled wagon- Grave goods c. 540 BC. 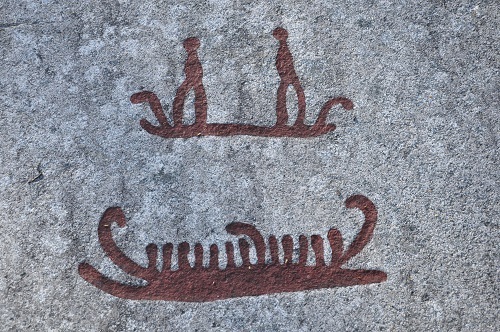 We discussed this a bit as it is very similar to wagons found in Scandinavian rock art from the Bronze Age. Glass alabaster perfume vases. 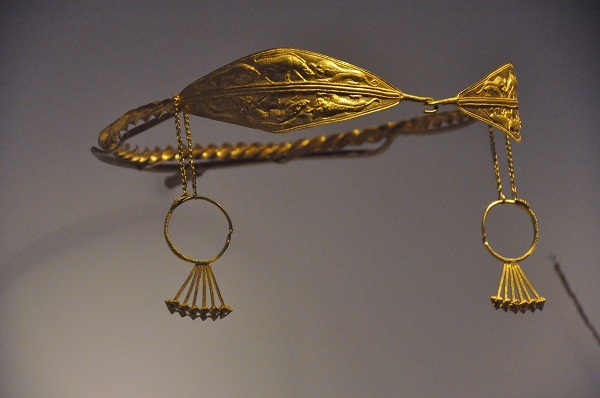 Grave goods ca 300 BC. 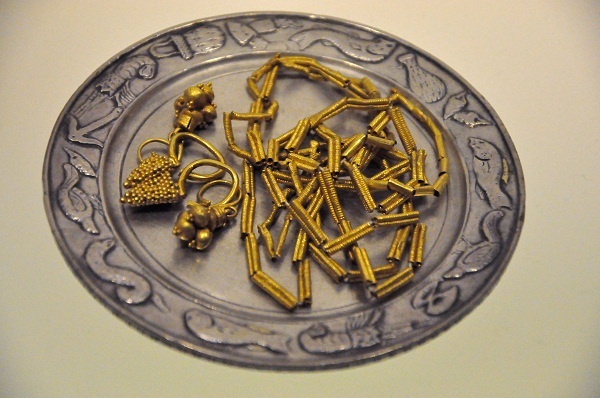 Different gold ivy wreaths, grave goods from the 3rd-4th century BC. 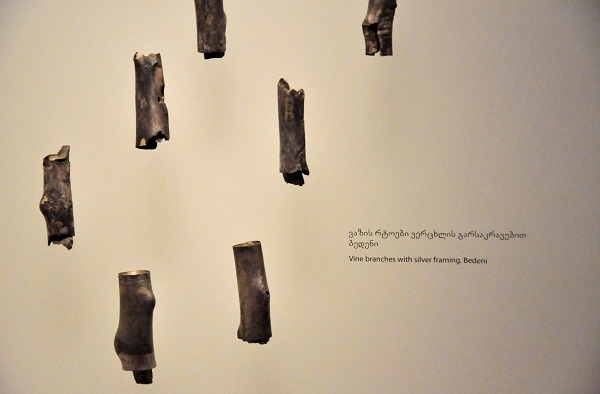 Next post will be on the Bysantine museum.